During the 42 years after being elected the 1974-75 ASI President, Scott Plotkin spent over 35 years working in K-12 and higher education. 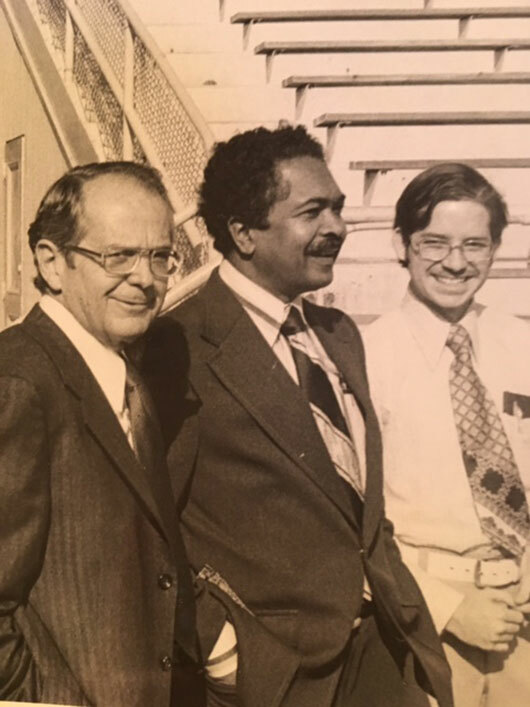 All of this time was spent in and around the state capitol, including over 20 years as a legislative representative for the California State University system, where he was able to help represent Cal Poly before the governor and state legislature. Plotkin is now retired and with his wife, Pat Thiel, lives in Kalispell, Montana to be near their three sons and their families (including their four grand kids! ), and have both gotten involved in local community theater.